Tel Aviv has dropped out of the top 20 of most expensive world cities, according to Business Insider. After 2011, the rankings for the most expensive cities in the world were in and Tel Aviv was 19. Their estimates are based on those living in the city, not travelers coming in. Oslo ranked 1 on most lists, a few others named Tokyo. In 2012 it was Moscow. Not that it has become much cheaper to live in Tel Aviv, but factors influencing the ranking could have pushed other cities ahead. Tel Aviv is still more expensive than Manhattan which is the highest US city ranked at #43 in the world. Cost of living is based on several factors, affordability of housing in relationship to average incomes, cost of basic food items, a fast-food meal, costs of daily goods, services and public transportation. In relationship to the cost of housing, statements coming out of business and government leaders and real estate professionals in Tel Aviv are at odds as to whether there is a bubble or not. At a recent Dun-Bradstreet forum all the economic experts except one, stated there was a bubble, that prices in Tel Aviv are 20% above the affordability index. Outside investors, such as a British couple I helped purchase housing here, saw large Israeli cities as an investment they could afford, and simply chose to continue renting and working in London, the price of purchase being out of their reach there. Tel Aviv still remains highly attractive, with its beaches, urban sophistication and ease of transport and atmosphere of freedom and social life. Young couples are choosing to buy outside and commute, or purchase an investment outside of Tel Aviv and rent in the city. Haifa is enjoying an increase in housing sales and prices while the other two major cities of Israel, Tel Aviv and Jerusalem are still seeing falling transactions and softening prices. The high tech industry overall in Israel is experiencing a 2.8% gain which could be reflective of the moving trend towards Haifa, one of the countries high-tech centers. 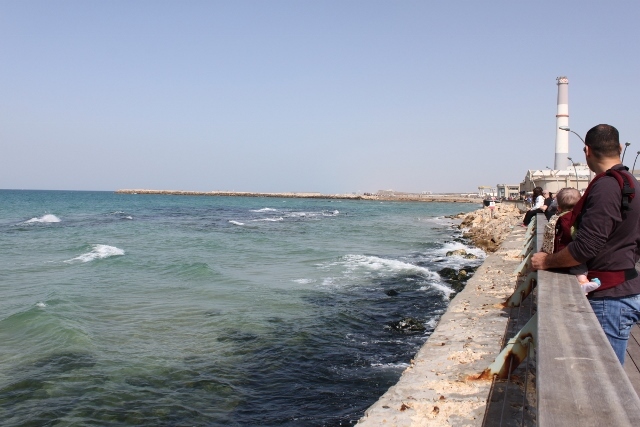 The second quarter in Haifa was marked by a 8% increase in housing prices while Jerusalem and Tel Aviv saw 2-1% drops according to the interdisciplinary center in Herzliyah. The Finance Ministry “red lights” reports a nearly 15% drop in sales transactions in Jerusalem since a year ago in the traditionally active real estate months of July and August. Overall figures for real estate transactions countrywide can be deceptive as Haifa and Beersheva have regulated the overall statistics with positive numbers. Treasury economists report the over all economic numbers for unemployment and consumer confidence are stable. The most significant drop in real estate purchasers are young couples and first time buyers who dropped by 30% since last year. It is this author’s contention that high prices, high down payments and sellers unwilling to accept reality and lower prices are the cause for the drop in ready and available buyers. Several months ago the transaction of the large parcel IDF (Israeli Defense Forces) owned land was sold for development for housing to help relieve the housing shortage in the Israel’s largest and fastest growing city, Tel Aviv. Plans have been released for the 2 new 80 story towers which will be in the central location on the corner of Shaul Hamelech and Weisman streets. The complex will include the office towers and three other apartment towers which will provide 770 new housing units. The new complex is affectionately known as the “toblerone tower” for its triangular shape and resemblance to the famous Swiss candy bar. The project itself is called the “Rockefeller of the Unstoppable (or city that doesn’t sleep) City”. The units will be small, two and three room apartments all measuring 65 and 83 meters. The eight acre parcel will also includes park areas and bike paths as well as underground parking. The new project will also be serviced by a planned underground tube which is known as the “green line”. The metro will run on the Ibn Gvirol route. Tel Aviv, along with Ramat Gan and Bat Yam continues rapid growth becoming as I have coined it, the Singapore of the Middle East in the “start-up nation”. Café on Tel Aviv’s Rothschild Blvd. Ashton Kutcher, who is a serious Tora student, according to co-star from “No Strings Attached” Natalie Portman, was not in Israel for religious study recently, but is looking into investing in property on Tel Aviv’s Rothschild Blvd. The actor is business partner with Guy Oseary, a producer in the US music industry who have invested together in a number of social media companies. The partners looked into the project at 22 Rothschild Blvd which is slated to rent for $35-41 a sq. meter. They are seeking a location for an office locally from which to run a center in Israel for high tech start-ups focusing on social media. Kutcher has expanded his personal fortune with early investments in social media start-ups, including Twitter. He also heavily invested in Yoav Shoham’s Katango, Israeli professor at Stanford University, which was sold to Google for tens of millions of dollars about two years ago. The famous Kiryah base in Tel Aviv, where inductees countrywide first arrive for their military service is releasing their 47 acre campus for development for housing and commercial real estate. 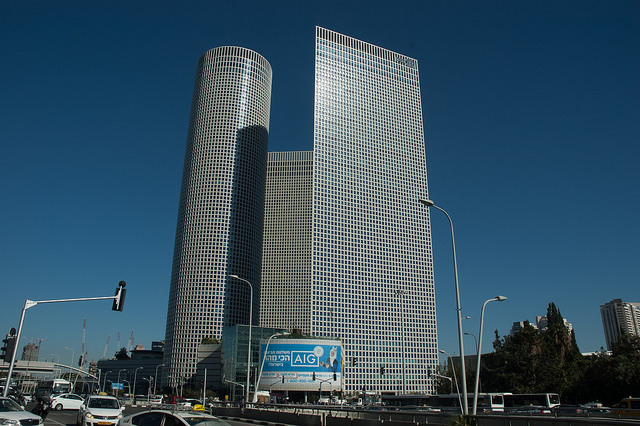 It has been a city landmark for generations in the heart of central Tel Aviv. The Tel Hashomer base is located in what has become some of the priciest real estate in the country, the land itself worth an estimated $14 billion. The military will move its central operations to new mega-bases in the Negev. 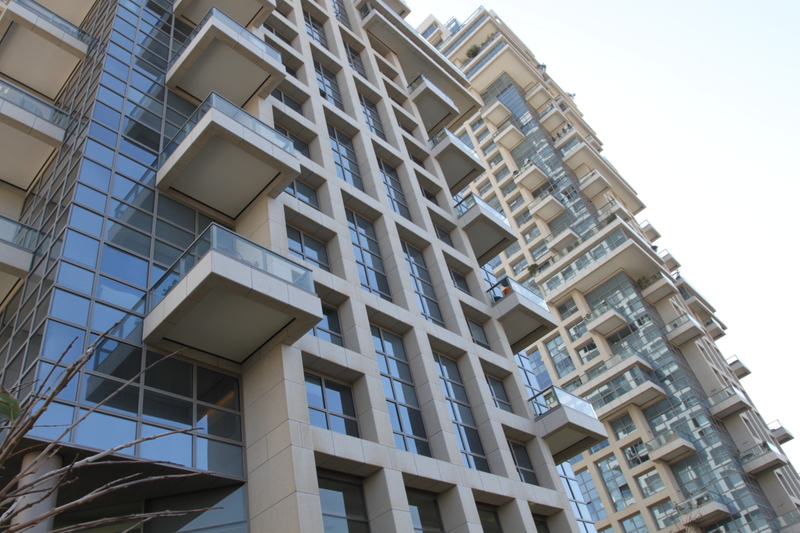 The move is an attempt to alleviate the severe housing shortage in Tel Aviv. Sde Dov Airport will also be shut down to release its land for residential development along Tel Aviv’s northern “gold coast”. 30,000 military families will be moved from Tel Aviv to Beer Sheva which will create a real estate and jobs boom in the Negev. Citigroup and Morgan-Stanley have shown interest in financing the military projects. Why isn’t my apartment selling? Pearls of wisdom from a former sales manager. “Why isn’t my apartment selling?” This is a question in any market, but especially one experiencing a slow-down that sellers ask. To quote a former sales manager of mine there are three primary reasons; “terms, PRICE, and condition” his sage words also included “anything will sell for the right price”. Since sometime in early 2011 when government enforced Bank of Israel austerity measures went into place and the market overall began to trend downward. In the eyes of the government as well as astute individuals in economics this was a necessary correction. Other factors have also entered into this equation; two of the world’s major currencies are experiencing losses, the Euro and the US Dollar, as are their respective economies. Israel is not an economic island. Both the sales and rental markets here have experienced downward slides. Unlike the buying and selling personality of the States, the Israeli seller doesn’t have a vast reservoir of information like the Multiple Listing Service where over 90% of properties are listed exclusively with agents with all its data of solds, listed, etc. Statistically only 1/3 of properties on the market here are in exclusive listing agreements.The mentality is “my neighbor is asking this, my property is better than his, so I should get this.” Meanwhile ‘that’ price may have no basis in real market value but just owners overestimating their values. Appraisers often fall victim to the statistics of “what are people in the area asking” and have little familiarity with the real grit looking at numerous properties with buyers and seeing what’s selling for what price and who is in the market buying it, even they can often give a false view of value and not a real market value. Another deceptive reality in the marketplace is with the prevalence of such do-it-yourself for free websites such as Yad2 or Win-win, whether its homes or vehicles, individuals can instantly place free ads that are “trial balloons” just to see if the fish will bite at an inflated price and are not serious sellers. This is common enough that it can give a false impression of true market value. A universal truth regardless of country is that unless you have an educated seller who is critically aware of his marketplace, sellers overvalue their own homes. Real market value can usually be hit on fairly closely by an experienced realtor in the area. Another judge is an individual in the buying public who is seriously looking to purchase also seems to have an innate feel after a bit of looking as to what’s overpriced and what’s priced right and they are not influenced by emotional attachment to the property ‘for sale’. Another factor mentioned earlier is the strength of the present reserve World currency, the US Dollar. Even though rentals are now pretty much quoted in shekels, when it comes to sales there is still a background thought of the $ value even if the buyer has his money in British pounds or Euros. If you listed when the dollar was at 4.05 to the shekel and now its 3.68 your price should be adjusting to the loss of the dollar rate. To make it simple, we’ll use 1 million $ as a reference; if you listed at 4,05000 NIS (when it was equal to 1 million US) if the shekel is now 3,680,000 you need to lower to that. If it wasnt selleing after a couple months of trying, you may need to lower to and equivalent 0f 10-20% less. Since 2011 property values have dropped to where sellers here are having to ask and get about 15% less than they could have gotten in 2010. Although terms and condition do make an impact, referring back to my former manager, “it’s always price” and “any offer within 5-10% of asking price is a good offer, not an insult”. The good news is for those who are truly priced right at the gate, they will still be able to sell to the educated buyers out there who know what the right price is. Sometimes statistics and reality just don’t seem to align. Recent news indicates that housing prices are up 4.5% in 2012 and yet agents like myself will tell you the market has never been slower since 2000-2004. As one who primarily deals with real estate in Jerusalem and Tel Aviv and their peripheries, most sellers have had to lower prices 10-15% lower from the highs in 2010 to secure a buyer. It’s possible the statistic reflects this year only and not in relationship to the past three. Still the price of housing here remains almost punishing in that Israel in its large cities is a market that affords only a small apartment for the price of 128 salaries. Boiled down it means that the average couple earning an average salary each cannot afford basic housing in a major city or periphery with a 30 year mortgage. And yet, somehow they buy. Traditionally young couples are helped by their parents and moving up the housing ladder has allowed Israelis who already owned for a decade or more to see a significant increase in their property value enabling them to cash out for significant profit. Before the shekel stabilized property was seen as the only way to have a savings account when runaway inflation regularly ate up the value of one’s money. Investors in those times now see a tremendous return, unlike those who invested in real estate in the USA. One of those undeniable truths of life is that if I suddenly am attracted by a fashion that I was formerly indifferent to, that somehow marketing, desire and scarcity have coincided to create a demand for a product. Suddenly my own desires for apartment living have leaned toward the dream of either a garden unit or a penthouse with a large terrace space and view. I am joined in this dream with consumers around the country who are wanting the same, and now there is a shortage of penthouses in the coastal region as well as garden apartments and the moving trend is out of the city. Penthouses in Tel Aviv have also reached demand exceding supply with even Donald Trump’s enterprises pushing for the project on Rothschild Blvd. to fulfill the complaint that “there is not a single nice penthouse in Tel Aviv”, quotes Ynet news. There has been a trend in the last decade or slightly more to build buildings that include an outside space or balcony, to not have one now is considered a deficit to a property, like living on a high floor without an elevator. Along with this trend there has been an increasing demand for pastoral spaces, the American Dream, a house with a yard. 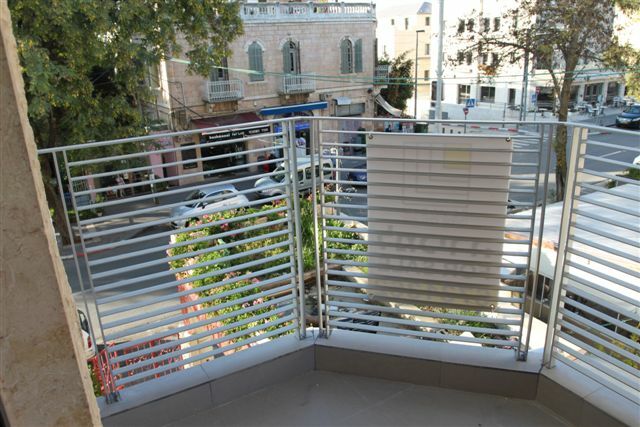 The balconies were not that difficult to change the face of newer construction in Israel, but the demand for apartments with gardens has escalated along with the desire for a house with a yard. This has caused a certain flight from the urban areas to more spacious areas that make a yard possible. Jerusalem in particular was noted in Ynet news. A U.S. magazine ranking housing markets globally has removed ISrael from the top ten in housing growth markets. In real terms the statistics reflect a minimum of a 5% drop in major cities where increases had been higher in 2010-2011. Israel has now dropeed to number 27 since the begining of 2012. It is this author/realtor’s note that around the Jerusalem and Tel aviv markets where I have the most experience, prices have dropped in certain neighborhoods more than others. 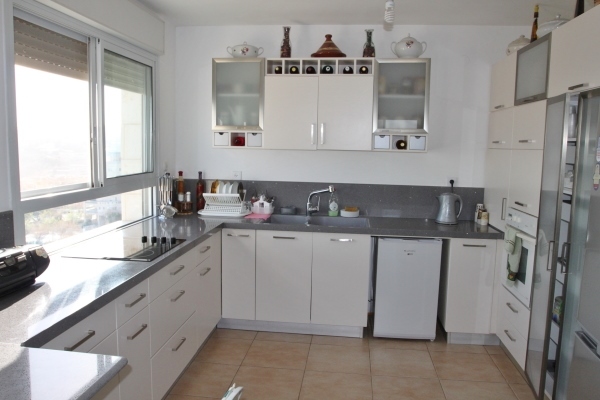 Due to the recent strength of the US dollar, buyers with capital and the desire to own property in Israel are looking in traditionally Anglo-saxon locations, such as Raanana and the central neighborhoods of Jerusalem, such as Baka, German Colony and other residential areas close to city center. there prices have remained the same as Q2 2011. Peripheral areas or the cities that are traditionally lower priced have finally made the adjustment that in order to sell and beat competition prices have dropped on popular advertising sites such as Win-Win and Yad2 8-10%.